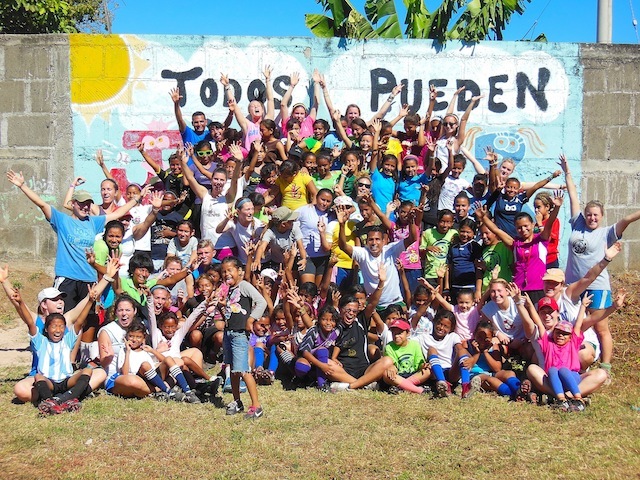 I am really happy to present you the amazing international work by Soccer Without Borders. 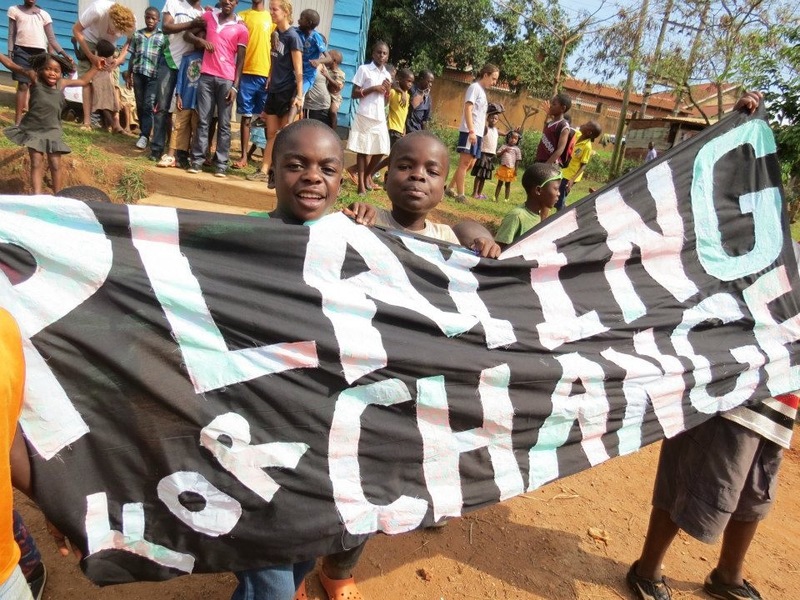 Their mission is to use soccer as a vehicle for positive change, providing under-served youth a toolkit to overcome obstacles to growth, inclusion and personal success. A lack of safe spaces where young people feel cared for, have a voice and can experience the joy of sport. A lack of opportunity for youth to actively explore social issues and community challenges. A lack of social capital and access to potential opportunities for education, employment and personal growth. 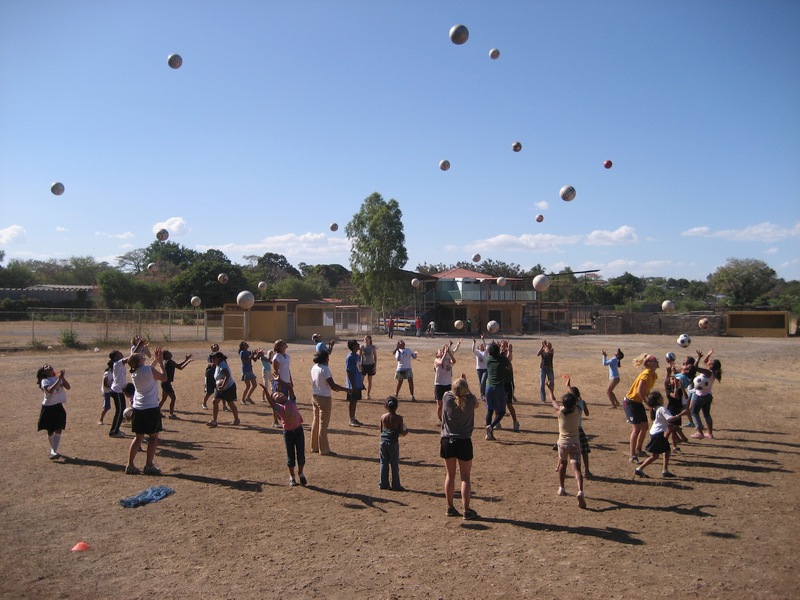 Soccer Without Borders believes that the potential of soccer to make a change is deeper than simply playing the game. While there are many positive sport experiences, soccer is the most universally accessible; at its most basic level, it offers playing opportunities that are low-cost, physically beneficial, inclusive and enjoyable. Soccer also enjoys worldwide popularity, making it the perfect platform from which to develop physically, socially and individually. Their programs are built around the philosophy that soccer’s interpersonal environment has unique potential to meaningfully impact participants. Within that environment, youth are exposed to the benefits of soccer and team sports for their bodies, voices, and minds, and supported in the application of these benefits to their everyday lives and future goals. When it comes to marginalized populations such as refugees, soccer offers an accessible, familiar space to build friendships and social capital, gain confidence, experience success, acclimate to new surroundings, and heal. Soccer provides an avenue for positive engagement, a platform for personal growth, and a toolkit for a brighter future. In the USA, they have different programs in Baltimore, Boston, Greeley and Oakland. Every year 70.000 refugees and 500.000 immigrants come to USA seeking peace and opportunity. Newcomer families are often culturally isolated in areas with high poverty and violence. A newcomer youth must also navigate in a new culture and learn a new language. The convergence of those challenges is overwhelming with a school drop-out rate of more than 40%. 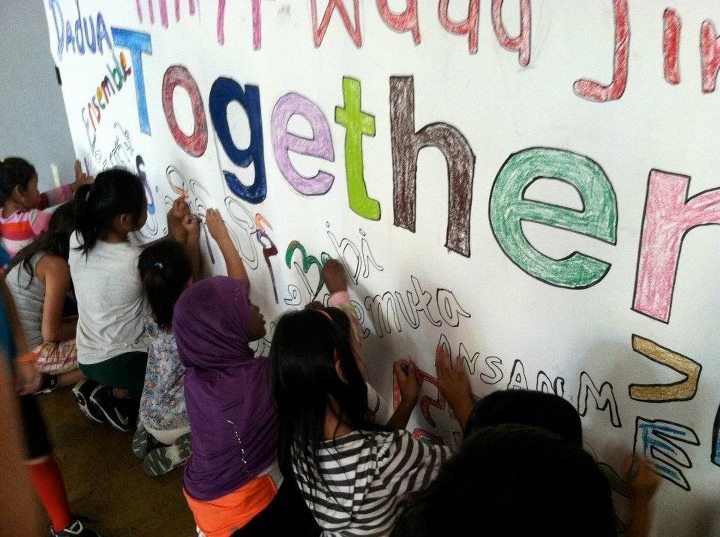 The SWB programs in the USA help build friendship, connections and a powerful mentor/mentee relationship, playing a vital role in their successful integration in the USA. 95% of regular USA participants have graduated from high school. Soccer without borders’ international presence is also amazing: since 2006 they have programs in 10 countries (3 continents) and have reached more that 10.000 youth to date. Their main challenge is getting girls in the game. Of the world’s more than 265 million soccer players, less than 10% are women. In under-served regions the number drops to 3%. The research is clear: girls who play sports, do better in the classroom, enjoy extensive physical health benefits, are less likely to engage in risky behaviours and gain self-esteem.